an independent study conducted by Nielsen Online Brand Effect found that Luminate generated a 116% brand awareness lift for Garnier – nearly 5x the industry average. I took a stroll through the native advertising landscape and explored some of the more popular options, along with related monetization options. Traditional paid media, such as banner advertising, is becoming less effective year-over-year because banner blindness runs rampant. Apparently, you’re more likely to survive a plane crash than click on a banner ad. Native advertising is a form of paid media which evolved out of a need to address falling viewability and succeeds because native ads follow the natural form and function of the user experience where they are placed. Native ads are designed to match the look and feel of the surrounding content. Typically they are perceived as an integral part of that content. Unlike traditional display advertising, native ads should be consistent with the native user experience, be relevant, should feel comfortable and not intrusive to the user. 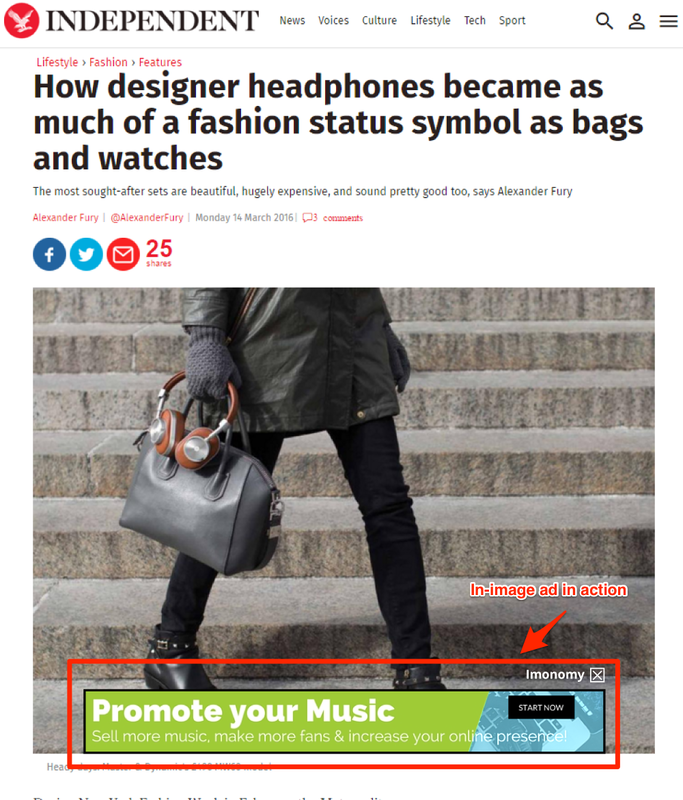 Native ads are multifaceted, and can be executed and implemented in a variety of ways. Publishers such as Time Inc, Forbes, Wall Street Journal, and the New York Times use native advertising alongside editorial content to monetize the substantial traffic they receive. A study conducted by Sharethrough/IPG Media labs surveyed 4,770 consumers. The latest eye-tracking technology was used to assess the attention of 200 consumers in order to better understand users’ visual attention and attitudes when exposed to native ads, as opposed to standard banner ads. When compared to standard banner ads, native ads are noticeably more engaging and that means more revenue for publishers. If the top publishers are using native advertising, surely you should too, if you haven’t already begun? In-image advertising technology is an exciting solution that leverages the most engaging parts of mobile and web pages to engage with users: your site’s images. The results include higher viewability while preserving a better user experience. Many in the industry have started using a relatively new innovative advertising solution, in-image advertising, as an additional form of native advertising to monetize their sites. In-image advertising technology is much more than just ads on images. In-image advertising blends contextual analysis, Big Data analysis, and behavioral analysis to deliver the most relevant and engaging ads to consumers. It is an ideal native advertising solution. Click here to learn more about what in-image advertising technology can do for publishers. Sponsored content is a form of native advertising. The format is sometimes also referred to as “advertorials” (you may have seen advertorials in print magazines). A number of top publishers have created content studios that are distinct from their editorial business for this purpose. These content studios produce original, sometimes branded content designed to promote a brand or its product or service. Some of the best sponsored content is pretty engaging in its own right and that is when it can be so successful. Buzzfeed produces some of the most effective sponsored content on the web. 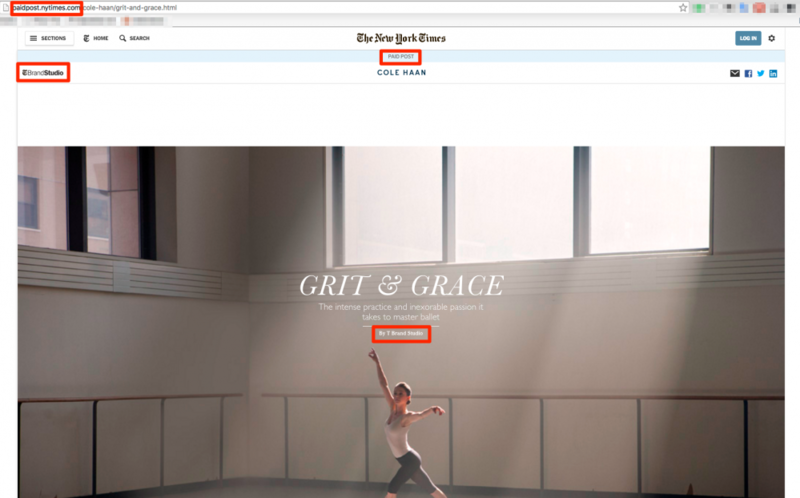 Another example of a successful content studio is the New York Times’ T Brand Studio. Social media networks like Facebook and Twitter are adjusting their algorithms to ensure the least amount of organic visibility for brands, too. On the other hand, sponsored articles strictly reside at the top of the funnel. Their purpose is to be helpful, entertaining, or both. Top-of-the-funnel content doesn’t appear to be salesy and brand-centric to the reader. It’s the rise of content marketing that helped move advertorials up the funnel. This helps brands move beyond being mere purveyors of goods and services, but producers of ideas and sources of knowledge. Content recommendation is another hot native advertising monetization technology. 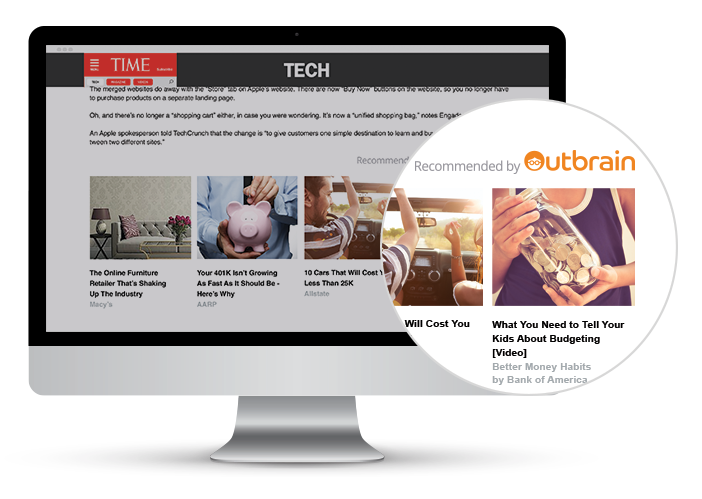 Paid content recommendations use strips that display articles published either on 3rd party websites or content on your own site. Many publishers place paid content recommendation strips on their websites that recommend content from 3rd party websites and others, like Digiday, use paid content recommendation strips to promote their own content. The publisher receives payment and the “advertiser” uploads campaigns to the content recommendation providers and pays based on the campaigns’ success. Two of the biggest content recommendation companies in the industry are Taboola and Outbrain. Over the years, both platforms have improved their products have begun offering extra tools to help publishers optimize their homepages. With the help of their tools, publishers can earn large profits by meeting minimum traffic requirements. They also earn extra payments when readers click on ad links off-site. incremental revenue without sacrificing the traditional ads placements. 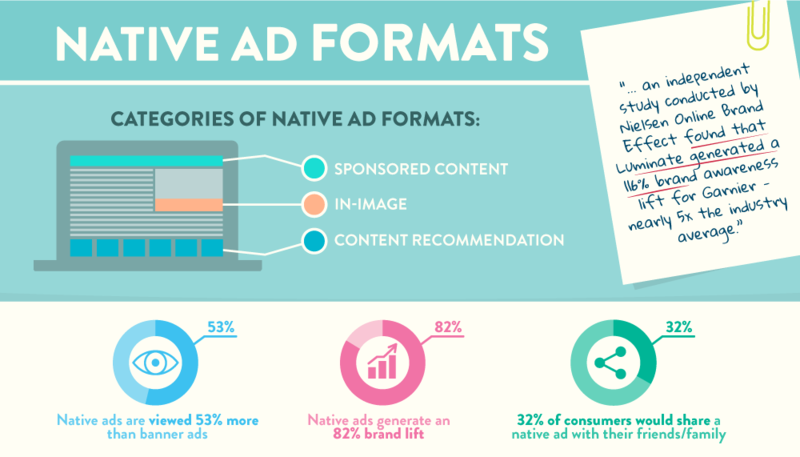 Native advertising formats are revolutionary tools to achieve better engagement and higher revenues. Each of these monetization technologies represent the vanguard of the new advertising era. Your question shouldn’t be whether to incorporate native or in-image advertising into your advertising strategy. Instead, your question should be when to start monetizing your website more effectively with these formats?